Partial vs Total Knee Replacement – Which is better? 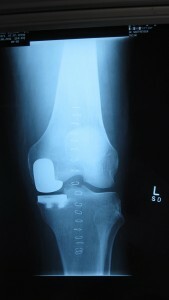 Home » Blog » Partial vs Total Knee Replacement – Which is better? I am often asked whether patients should have a partial knee replacement as it is seen to be less invasive to the patient, giving a faster recovery and better function. Before answering this question, it is best to understand the fundamental differences between the two types of prostheses. A partial knee replacement is designed to treat a localised area of knee arthritis, preserving less worn ligaments and bone. Usually the medial, or inner, joint between tibia and femur is resurfaced. The benefits are that more of the patients tissues are retained, speeding recovery and reducing blood loss. After recovery, function is often closer to that of a ‘normal’ knee. In a total knee replacement, all surfaces of the joint are resurfaced (patellofemoral, medial and lateral tibiofemoral). This option has stood the test of time to offer long term pain relief and functional improvements. The key to successful outcomes with partial knee replacement is patient selection. 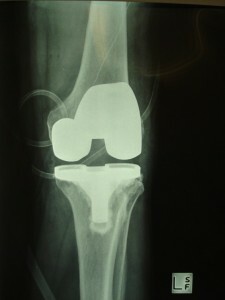 If strict inclusion criteria are used, partial knee replacement can offer near normal function with excellent durability. Alternatively, if arthritis in the rest of the knee is quite advanced, then the longer term results deteriorate, occasionally requiring revision total knee replacement. Discussion with your surgeon as to which option is best for you is important. Some patients are best suited to a total knee replacement rather than a partial knee replacement as a successful total knee replacement is always better than a painful partial knee replacement.